If you took a chance on bitcoin early on, just a few years ago, your investment could have paid off in a big way. 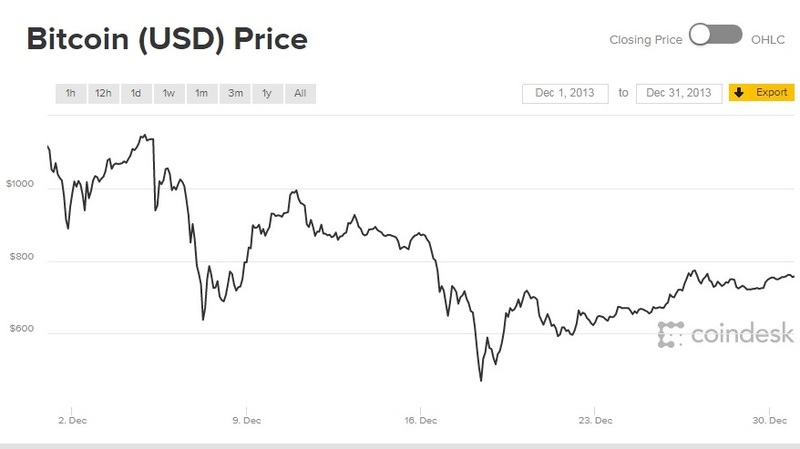 According to digital-currency website CoinDesk — whose Bitcoin Price Index tracks prices from digital currency exchanges Bitfinex, Bitstamp, Coinbase and itBit — the value of bitcoins was volatile in 2013, particularly toward the end of the year: In December alone, the price per bitcoin hit highs of around $1,000 and lows below $600. If you purchased $1,000 worth of bitcoin back then at a price of $600 per, you'd have a little over 1.6 bitcoins. If you purchased $1,000 worth of bitcoin at a price of $1,000 per, you'd have one bitcoin. As of Thursday, bitcoin's value was just above $16,500, according to CoinDesk. Based on that value, one bitcoin would be worth a little over $16,500 and 1.6 bitcoins would be worth more than $26,400 today. This estimate does not include any additional fees or transactional costs. That's a tremendous profit in just a few years. If you were smart, or lucky, enough to invest even earlier, in 2010, you could be in the company of the Winklevoss twins, who are reported to be the first bitcoin billionaires. As bitcoin has gone more mainstream, some of the biggest names in finance are weighing in. Fundstrat's Tom Lee and value investor Bill Miller have embraced the trend. But even with many success stories surrounding bitcoin investments, seasoned investors are voicing caution. Billionaire entrepreneur Mark Cuban and "Oracle of Omaha" Warren Buffett warn of bitcoin's volatility. Legendary investor and index fund mogul Jack Bogle, at a recent Council on Foreign Relations event, told the audience, "Avoid bitcoin like the plague." "Bitcoin has no underlying rate of return," the Vanguard founder said. "You know bonds have an interest coupon, stocks have earnings and dividends, [and] gold has nothing. There is nothing to support bitcoin," he said, "except the hope that you will sell it to someone for more than you paid for it." While big-names like Bogle have taken either pro- or anti-bitcoin stances, others, like self-made millionaire and best-selling author of "Money: Master the Game," Tony Robbins, haven't taken a firm position. Robbins told CNBC's "Fast Money" that he thinks bitcoin "is very iffy" and compared investing in the cryptocurrency to "going to Vegas." In his own portfolio, Robbins directs a certain amount of money to risky ventures, but he doesn't rely on them to work out. For those investments, he said, "I know it is just for fun I'm investing, I know I could lose." If you are considering investing in cryptocurrencies, be careful. Past returns do not predict future results. Think of it like a trip to Vegas, experts like Robbins suggest: Only play with money you can afford to lose.